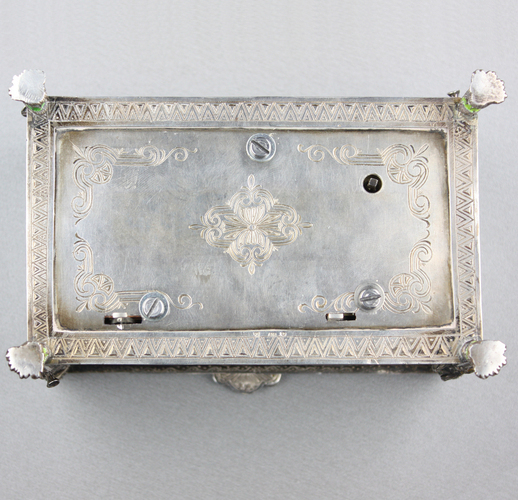 When wound and start/top lever actuated from front-edge underside, the first of two Scottish airs will play, from Paillard tabatieré cylinder movement, serial number 157840, with plain brass bedplate and single-section comb, under glass dustbox to interior base, interior body engraving under red velvet panel, in milled and applied silver case of outstanding detail, the lid with oval study of a sacrifice with white enamel infil between the silver engraved features, blue enamel C scroll frieze border, raised matching spandrels in white and blue and lid edge framed with further white enamel, shell and scroll appliques to corners and centres, each with petit-point coloured enamel highlights, all sides with large engraved silver and white enamel infilled studies of classical maiden de honoures, corners with relief mounts of wreathed figures each with French enamel infil highlights, on scroll toes, start/stop and change/repeat levers from underside. 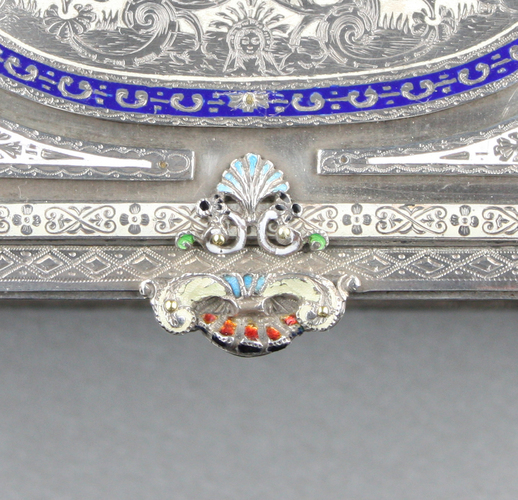 It is always worth looking at pieces made in one country which were originally designed to be offered in another. 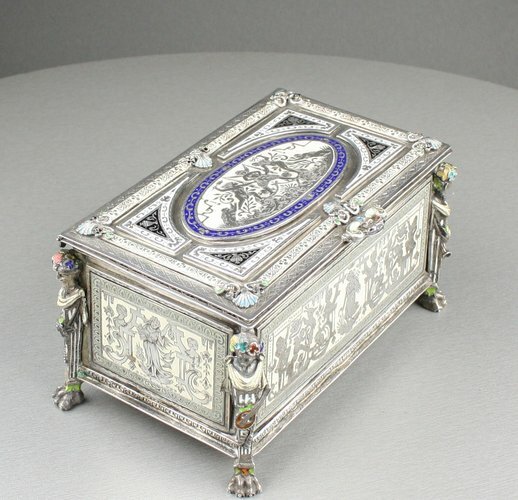 Paillard movements are generic and when the casket was finished, Paillard would have supplied the movement, to fit all the linkage slots already cut. 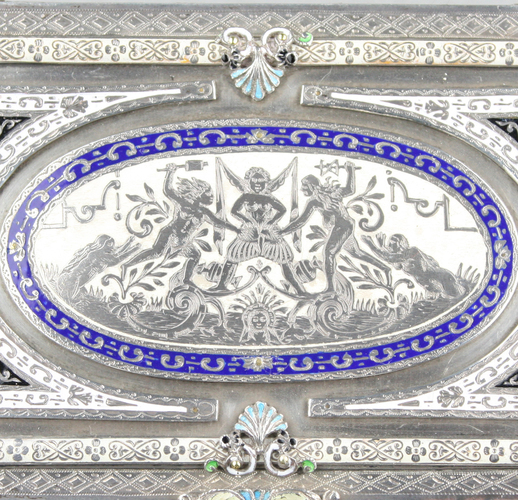 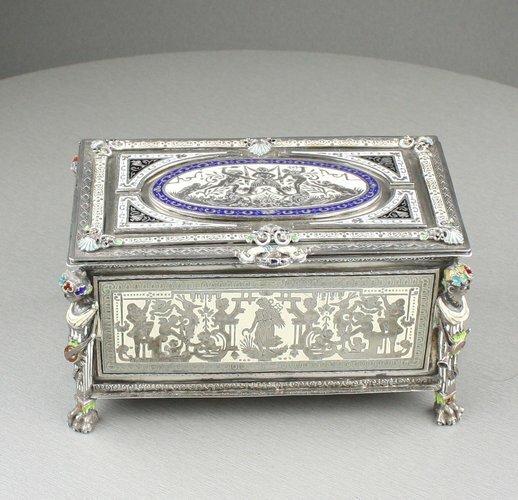 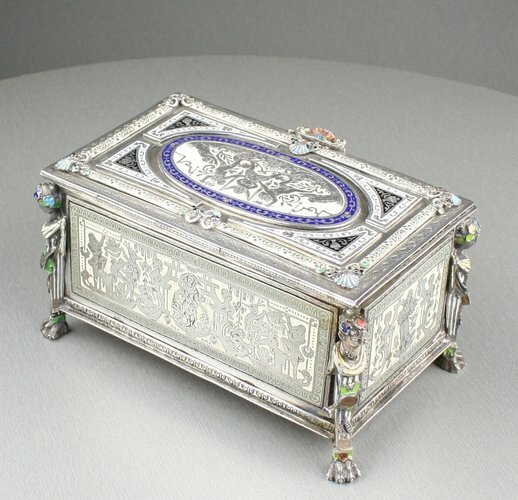 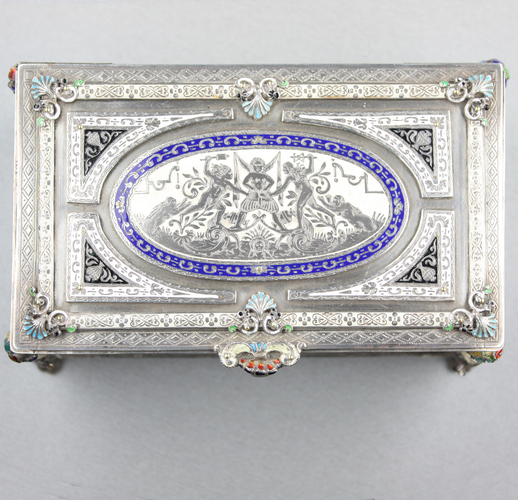 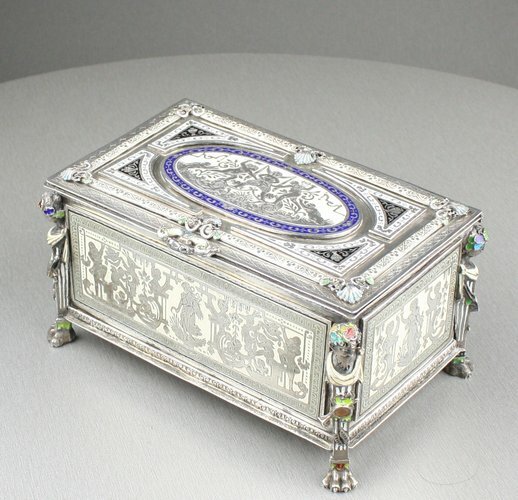 Russian silverwork needed competing against towards the end of the 19th century and here the French have clearly studied the many facets of tooling and enamel infil skills associated with the right look. 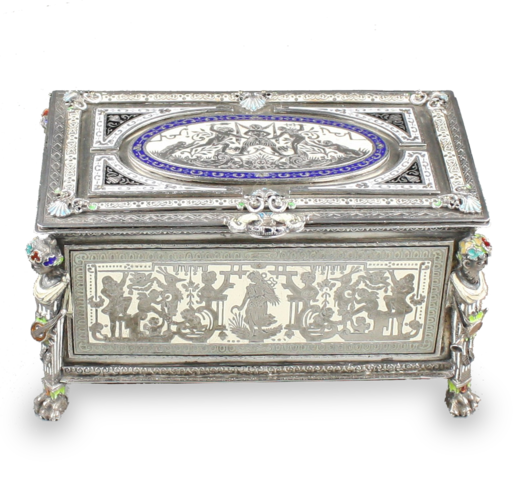 Many French pieces of this quality were sold to the high-end Russian market and today, they continue to be of huge interest to those lucky enough to find them.